SHINee Will Light Your "Fire"
SHINee is on fire! In addition to their “Dream Girl” promotions in Korea, SHINee just released their third original Japanese single, “Fire.” It seems the boys are continuing to release heart-warming ballads for their Japanese audience, and the single touts an impressive roster of musicians. Ishiwatari Junji, who recently worked on songs for F.T. Island and Girls’ Generation, wrote the lyrics, and hip-hop producer BACHLOGIC composed and produced the track. However, despite the song’s passionate lyrics and creative mixing, the accompanying PV is more like a flickering flame than an inferno. Musically, “Fire” relies heavily on its electronic effects, most notably the synth slide that starts the music and loops back each chorus. The mixing adds intensity to an otherwise soft ballad, which is appropriate given the “fire” theme, but at times clouds the singing. The electronic overlay gives the song an over-processed feel, which seeps into SHINee’s vocals making them sound a tad unnatural. Ignoring this, the chorus delivers beautiful SHINee harmony, and the effects drive the beat, reminding us that the song is ultimately about moving forward. The range of the song is higher than what we’re used to from SHINee, and opens up some nice vocal play between Jonghyun and Taemin in the bridge. 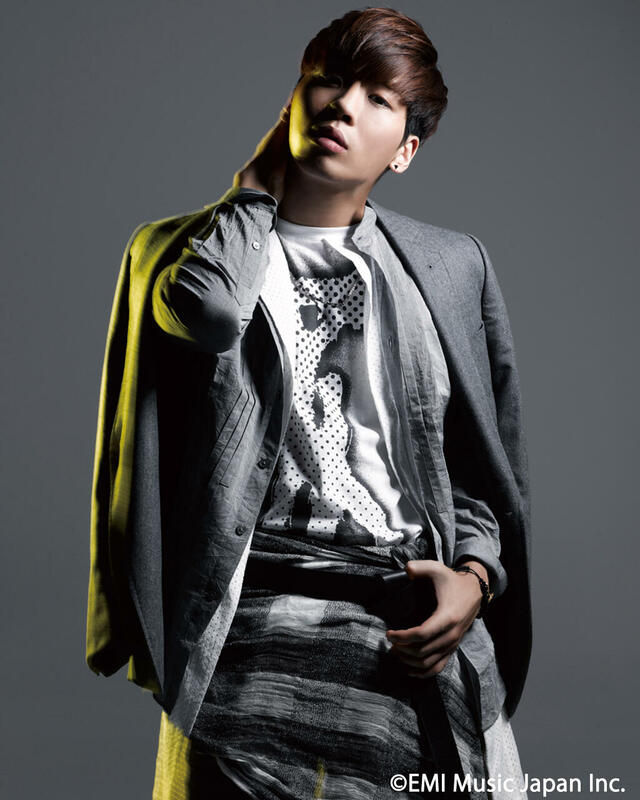 Jonghyun in particular pulls back and demonstrates light, controlled runs, which is different from his normal powerhouse mode. 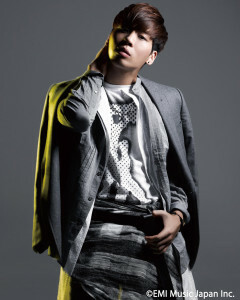 Key’s voice also stands out, as its warm and candid quality suits emotional ballads. Onew’s voice is strong per usual, but he blends more with the others rather than taking the spotlight in this song. 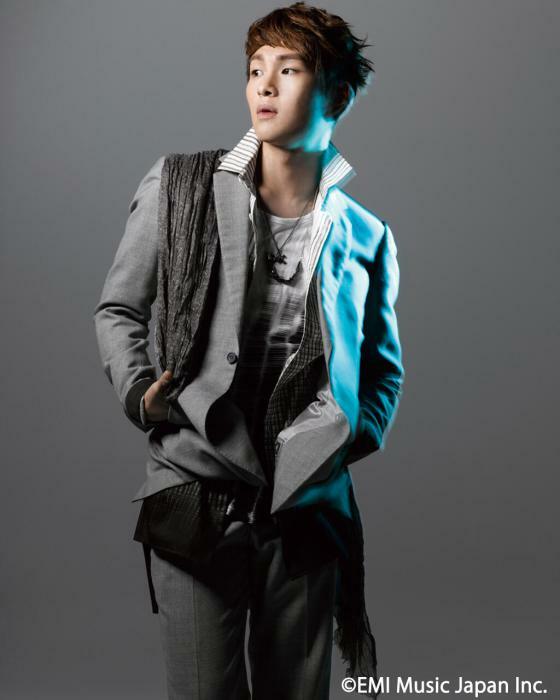 Minho solely sings, in contrast to their other Japanese releases. The song doesn’t need a rap, but Minho’s strength lies in his ability to play with rhythm, which barely peeks out at the start of the bridge where he sort of speak-sings. The PV itself looks good in that it’s clean and sharp, and the boys’ styling is for once subdued and soft. However — and my SHINee-loving heart bleeds as I write this — the PV is boring. It is mostly candle lighting interspersed with close-ups of SHINee singing, and fails to encompass the breadth of the song. The video is set in a dilapidated, dark room, which does well to illustrate a person’s state before the metaphorical fire, but does not reflect a passionate, burning change. 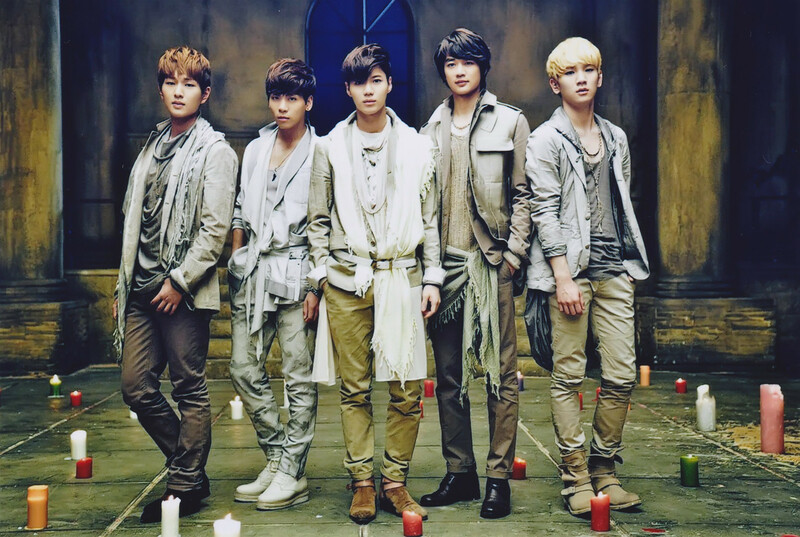 SHINee’s clothes match the muted tones of the walls, making them blend into the scenery. According to Jonghyun in the Shooting Sketch video, in this PV they are “angels” as opposed to the “shinigami” (“death gods”) in “1000 Years…,” which explains the monochromatic neutrals. While it is thoughtful to set up a foil to the previous PV thematically (life vs. death), “Fire” fails to pop visually like “1000 Years…” did. The main action is lighting candles for people, whose ages range from young to old. This is symbolic of igniting a flame within yourself, burning away the old you, etc., but the imagery a little too on-the-nose considering the complexity of the lyrics. It seems that the PV was striving for something emotional and sentimental, but without a more personal connection to the characters it just looks like random people lighting candles in a cheesy and vaguely cultish manner. The fact that SHINee is standing in the middle of a heart-shaped candle layout wearing clothes layered like robes does not help. The real problem is that everything else about the song suggests something bolder than what the video delivers. First off, the song is strongly titled “Fire.” The lyrics bring forth images of passion and determination, and musically the intense electronics make the song more than a measured ballad. This carries over into the singing, and while it’s clear that SHINee is singing earnestly, their feelings are muted in the monochromatic video. Even the CD jacket shows something more than dull color. 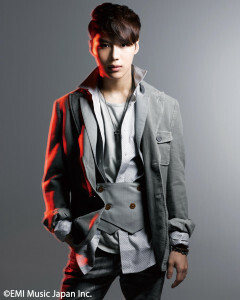 SHINee is wearing similar outfits as in the PV, but they are splashed with the different colors of a flame. The pace and action of the PV is too sedate to represent the expansive quality of the song; a visual shift over time is needed, whether it be more color, or a change in scenery or lighting. The end of the PV actually touches on this, as it takes a full 10-second pan up to reveal the sky through the broken ceiling — too bad it’s at the very end. 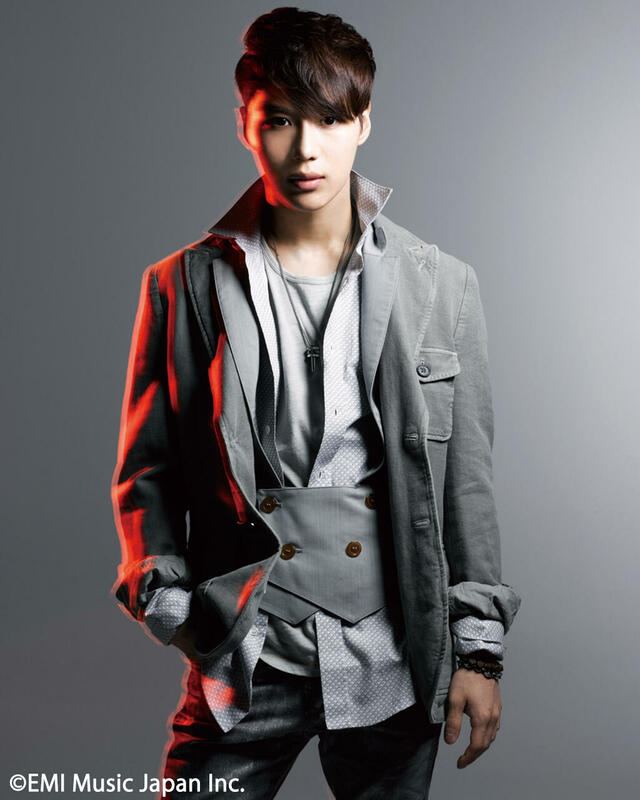 The second track, “Moon River Waltz,” is a lovely addition to SHINee’s Japanese repertoire. As promised, it is a waltz that tells a romantic story of dancing by the river, under the moon with your love. The sound is simple pop, but it allows the purity of SHINee’s voices to shine through, and the waltz angle adds an unexpected element. It’s a very sweet song that successfully creates a romantic atmosphere, and you can’t go wrong with SHINee’s melodious “hoo oo oos” or the gentle pings of the bell. For a good song with a beautiful message but unimpressive PV, I give “Fire” an overall 3.5/5. How does “Fire” measure up for you?